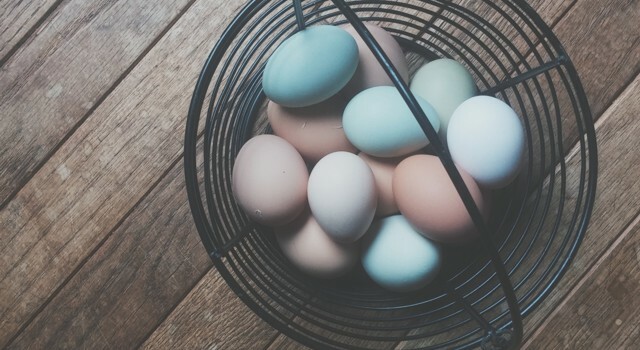 Individual Retirement Accounts (IRAs) are wonderful tax and estate planning tools, but their Required Minimum Distribution (RMD) rules are onerous. Imagine a family with a large IRA as their main asset. The original owner, Grandpa, has to take RMDs after he is 70 1/2 years old based on his own life expectancy. When he dies, his primary beneficiary is his spouse, Grandma, who has the option of doing a Spousal Rollover and taking her RMDs based on her life expectancy after she is 70 1/2. When she dies, her primary beneficiary is their daughter who has no options left but to inherit the IRA and take inherited RMDs based on her life expectancy the year after Grandma died and minus one for each year after that. This inherited RMD rule is a special provision for designated beneficiaries, and luckily it transfers to second generation inherited IRA beneficiaries. So when the daughter dies, the grandson is the inherited IRAs primary beneficiary. His only option is continue taking his mother’s inherited RMDs. Confusingly, none of the grandson’s information is used when calculating this RMD. The reason is “26 U.S. Code § 401” which requires qualified retirement account distributions to occur “over a period not extending beyond the life expectancy of… such employee and a designated beneficiary.” That means that distributions cannot go longer than the life expectancy of the younger of the designated beneficiary or original owner. Elsewhere in the code, there is the exception to treat it “as if the surviving spouse were the employee,” which is the text that allows the spousal rollover. However, the first non-spouse designated beneficiary is the last one to receive a new RMD divisor calculation. In our example: If Grandma’s daughter is 49 when Grandma dies, she’s 50 in the year after her death, making her first inherited RMD divisor 32.3. Later, she dies when she is 70 (20 years later) when her inherited RMD divisor is 12.3. Her son is 37 when she dies, but his first RMD divisor is 11.3 the next year (12.3 minus 1). No matter who inherits after that point, they’ll inherit the continuation of this inherited divisor with it. This means every generation of IRA beneficiary needs to remember this fact: “The original beneficiary was 50 the year after the original owner died.” Otherwise, they may lose track of their divisor. If you are using How to Calculate Your RMD: a Uniform, Inherited, and Joint Divisor Calculator to calculate your own divisor, second generation beneficiaries should treat the first non-spouse beneficiary as the beneficiary rather than themselves. If the first non-spouse beneficiary is, instead of the generation right below you, the youngest generation, this will provide the longest stretch for the RMD. If that youngest generation consists of minors, this will open Custodial Inherited IRAs, which means that the minor’s guardians will manage the assets for them. Imagine four generations: 90-year old great-grandparent, 60-year old grandparent, 30-year old parent, and 1-year old grandchild. Their inherited RMD divisors are 5.5, 25.2, 53.3, and 81.6 respectively. These divisors are one-to-one with how many years the new inherited IRA will last. If the 1-year old is the owner and the custodians only withdraw the RMD from the account, the inherited IRA will last 81.6 years. Where as if the 60-year old grandparents are the owners (the great-grandparent’s children), the accounts will only last 25.2 years. On a million dollar inherited Roth IRA after 30-years, it is an additional after-tax value of $68,903 and $91,470 respectively if the 30-year old or 1-year old inherits rather than the 60-year old. This means, if your children don’t need the money and you are the surviving spouse, you could consider setting your beneficiaries to a younger generation to help the family net worth.